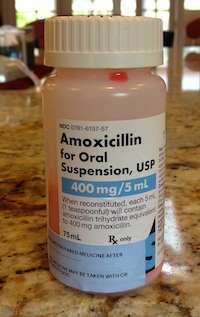 Should all ear infections be treated with antibiotics? Yesterday, our pediatrician diagnosed my daughter with an ear infection. She has no fever or ear pain. Her cough is still there but improving. I’m unsure about giving her the antibiotic for “a little redness” and an ear that doesn't seem to bother her at all. 40 percent of ear infections are viral and even some bacterial ear infections will resolve on their own. The current practice guidelines do not recommend treating ear infections without symptoms. In general, I try to follow these guidelines as I believe doctors prescribe antibiotics too often.